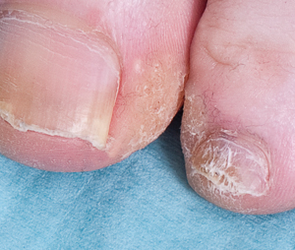 Fungal nail disease, medically referred to as onychomycosis, affects 2% to 14% of the adult population. Fungi that feed on keratin, a structural protein within your nails, frequently cause the condition. Fungal colonies proliferate in moist environments and invade the nail bed by penetrating the margins of the nail. 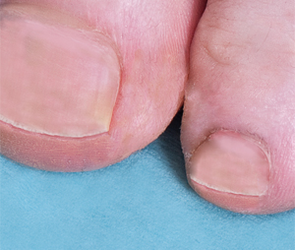 Fungal nail disease may result in pain, impair the ability to walk and contribute to a negative self image. Some prescription medications have side effects and therefore are not always the best treatment option. Another option is surgery to remove the nail; this is not a popular option either. Lasertherapy to treat the disease is gaining popularity as a means to achieve a temporary increase in clear nail. 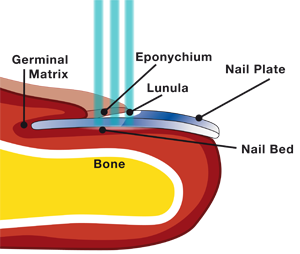 During the Nail Fungus Laser Treatment, a laser beam will be slowly directed across the nail bed. The laser beam will generate heat beneath the nail and within the underlying fungal colony. 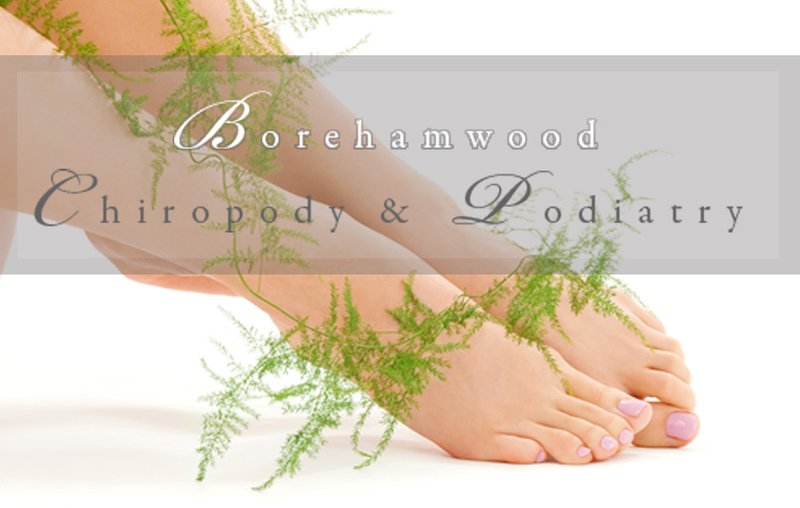 You will feel a warm sensation during the procedure which lasts 1 minute to 2 minutes per toenail. There may be a slight pain sensation as a result of the heating effect of the laser treatment. You will not see a result immediately, but rather over a period of months as the nail resumes healthy growth. Nails grow slowly, so you may not see a significant improvement for several months, but you should see a gradual growth of clear nail. Additional treatments may be recommended depending on the severity of the fungal infection. Your podiatrist will talk with you about the possibility of having additional treatments and will also advise you on the proper care of your nails to minimize the risk of recurrence. The investigator concluded that the laser therapy was safe, well tolerated and very effective in promoting the growth of clear nail in patients with onychomycosis with significant improvement 2 months after initial treatment. "The treatments are painless! All 10 toes took about 10 minutes. It has been six months, and my toe nails are growing out normally. I have noticed a big improvement in my big toe that had the most fungus. It is growing out slower than the others, but is coming in clear for the 1st time in years. I love the results."